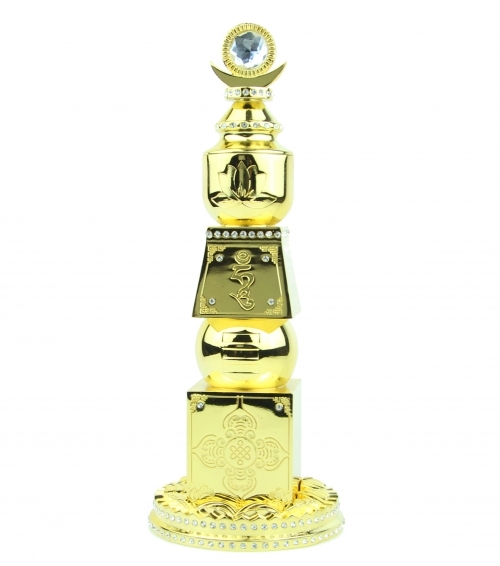 This beautiful 10" feng shui bejeweled sun moon five element pagoda, glistening in vibrant color and design, is used to suppress down the menacing effect of Five Yellow. The Five Yellow Star brings ominous chi, and may cause numerous misfortunes, tragedies, danger, and illness if not suppressed. In 2018, the Five Yellow Star alone with another bad star Three-Killings are in the North, and is expected to be especially paid attention to. Place the pagoda in the this location for enhanced power. The sun and moon will activate lunar and solar currents; use this Sun & Moon 5 Element Pagoda to suppress the Five Yellow Star’s malevolence. Displaying the hum symbol can help overcome obstacles, serve as protection against evil spirits and misfortunes, and bring good fortune. Also, the hum keychain can grant its owner wisdom, determination, happiness, and fortune by arousing generosity, compassion, and kindness. 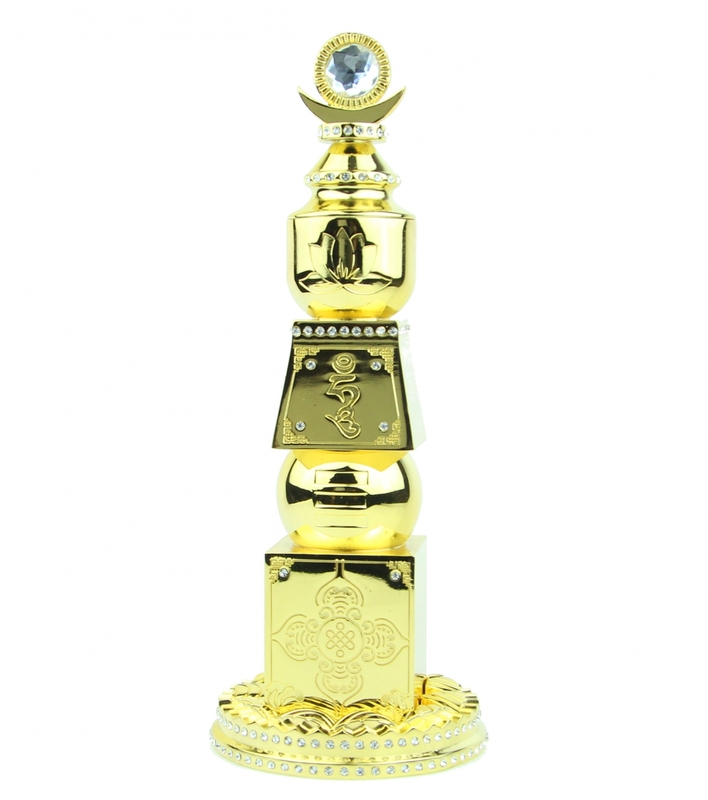 The dimension of the bejeweled 5 Element Pagoda is approx. 3.75" x 3.75" x 10". It is made of brass and very heavy.